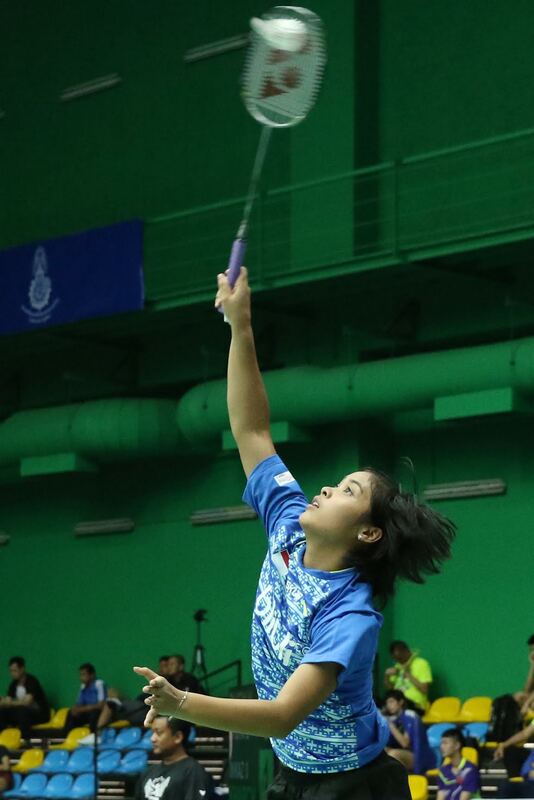 Indonesia's Gregoria Mariska (Picture below) is in the final of the women's singles in the SCG Badminton Asia Junior Championships with a 21-13, 13-21, 21-10 win over China's Gao Fangjie in the semi-finalson Saturday. In the final on Sunday the Indonesian lass will face another Chinese hurdle in Chen Yufie who had a free ride into the final after South Korea's Kim Ga-eun conceded a walkover due to a thigh injury. The Korean upset Malaysia's second seed Goh Jin Wei 21-13, 17-21, 21-13 in the semi-finals on Friday despite carrying a thigh injury and needed time out for medical attention. Victory over Fangjie was sweet for fourth seeded Mariska who had lost Fangjie in the quarter-finals in last year's world junior championships in Lima, Peru. "The revenge win over Fangjie has boosted my confidence for the final. I hope to keep my momentum and win the title," said Mariska after her win. India's Lakshya Sen (Picture above) was unable to contain Sun Feixiang in the men's semi-finals but during the 43 minutes he was on the court the Indian showed that he will be a threat to his rivals in time to come. Taiwan's Lee Chia-hao, the seventh seed, made the final after a three-set thriller against China's unseeded Liu Haichao with a 21-14, 16-21, 21-17 win after 63 minutes. The men's doubles final will be an all-China affair. Top seeds He Jiting-Tan Qiang brushed aside eighth seeds and compatriots Fan Qiuyue-Ren Xiangyu 21-10, 21-16 while third seeds Han Chengkai-Zhou Haodong made shortwork of Malaysia's Ooi Zi Heng-Soh Wooi Yik (6th seeds) 21-15, 21-17. Korea's Kim Won-ho-Lee Yu-rim (Picture above) pulled off an upset 21-17, 22-20 win over third seeds Rinov Rivaldy-Apriani Rahayu to advance to the final against top seeds He Jiting-Du Yue of China. The Chinese won 21-14, 21-12 against compatriots Zhou Haodong-Hu Yuxiang.